Please click here for information on Interactive Nutrition Training in Toomebridge on 28th May 2019. 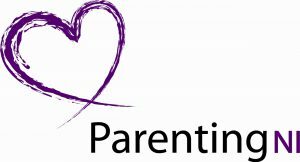 Please click here for information on Parent/Teen Communication Level 2 training being held in Ballymena in May 2019. The NI ACE Animation is now available for you to download on vimeo and you tube. Stepping into School is an interactive train the trainer session which explores the challenges parents and children can experience during transition stages. This workshop will focus on how parents can support their child through transition from pre-school to primary school, primary school to secondary school and moving up the years in school. This course will provide practitioners with the knowledge and skills, and trainers will receive materials and resources to enable you to deliver a workshop to parents in their own setting. The Power of the Parent Child Relationship is an interactive train the trainer session which recognises the important role that parents play in their children and young people’s lives. The workshop will explore the benefits of positive relationships and improving communication. This course will provide practitioners with the knowledge and skills, and trainers will receive materials and resources to enable you to deliver a workshop to parents in their own setting. Digital Parenting is an interactive train the trainer session which explores parenting in a digital world. The workshop will explore helping parents to understand online risks, support their child to keep safe online, enabling parents to reflect on their own use of technology and implementing a family digital strategy. This course will provide practitioners with the knowledge and skills, and trainers will receive materials and resources to enable you to deliver a workshop to parents in their own setting. These one day courses are available in Belfast, Derry/Londonderry and Newry and cost £125 per person. Please click here for more information. In addition, please click here for dates for the upcoming OCN Level 4 in Working with Parents qualification. The Northern Childcare Partnership Conference was held on 27th March 2019 to look at Characteristics of High Quality Childhood Environments, please click here to view the Press Release and photos. PlayBoard and the Mae Murray Foundation have come together to undertake a survey of parents and carers on play opportunities for children with disabilities. The information gathered through the survey will be used as the basis for a new guidance document which will aim to influence the design and development of more inclusive play areas that meet the needs of all children. Please click here to access survey. With the clocks going forward, the evenings are now longer so what a great time to encourage parents to get their children outdoors to play. Many of us will have fond memories of playing outdoors as we were growing up – the sense of freedom that can be gained from running about and playing outside generally brings a sense of fun and happiness that is hard to rival.